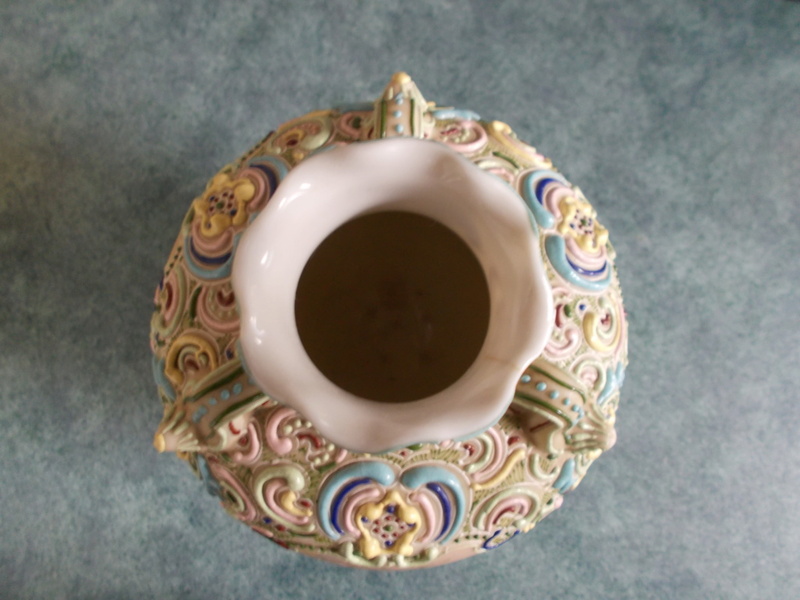 It looks like a Nippon moriage vase. Many thanks for your helpful suggestions, which I will research further. 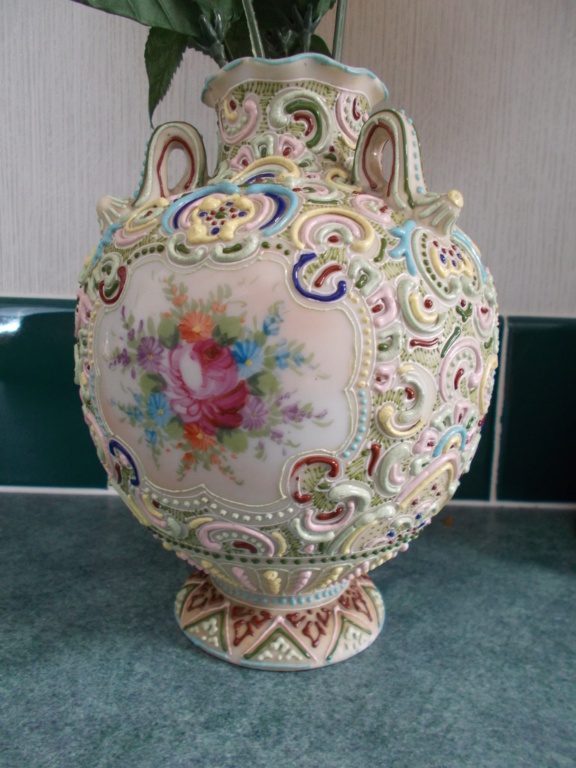 After the suggestion that it may be a Nippon moriage vase I had a look on the web and saw an identical one on pin interest. I am a bit worried that there is no mark anywhere. Is that normal for Nippon? 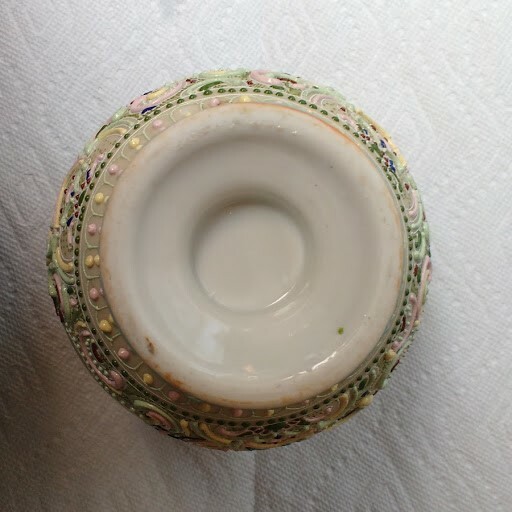 I will take a photo of the base as you have suggested Naomi. Why are my thinking Ausrtrian? So hard to identify. 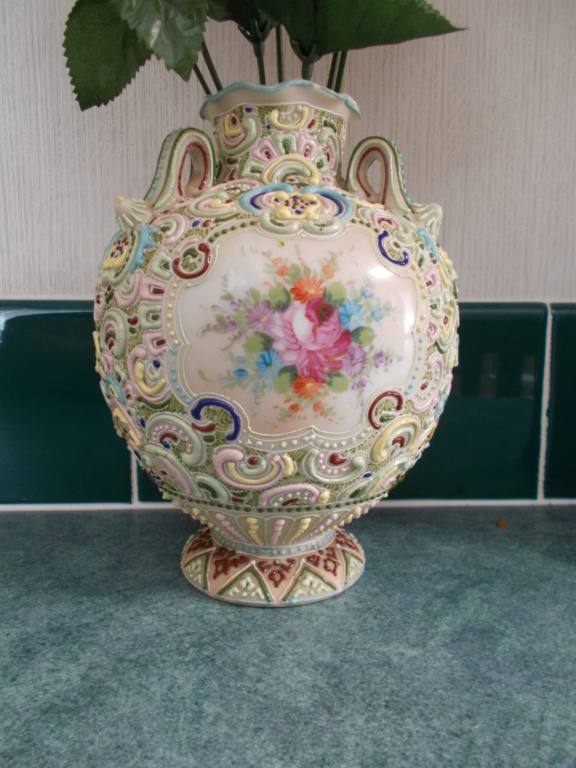 I think it is fairly old - it was my great grandmother who was born in 1895. It may have actually come from her mother so could possibly date to the 1800's.